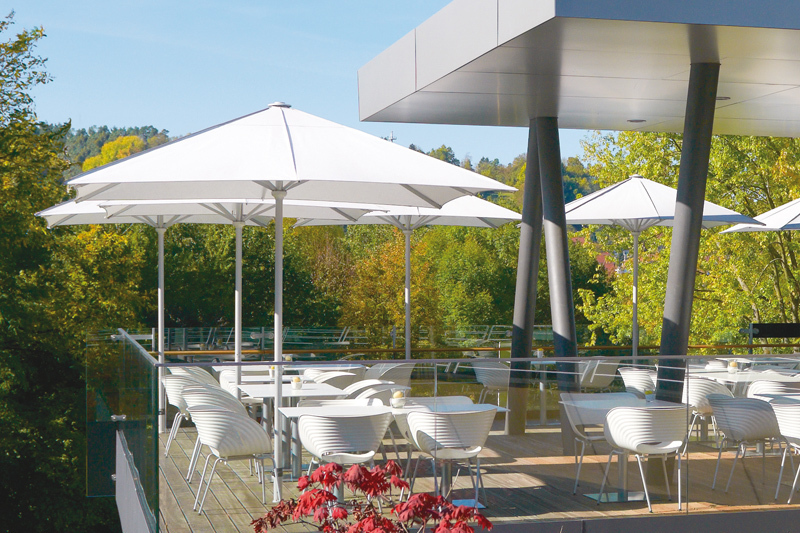 Cantilever sunshades from May are the ideal commercial umbrellas for your garden, terrace or lounge area. 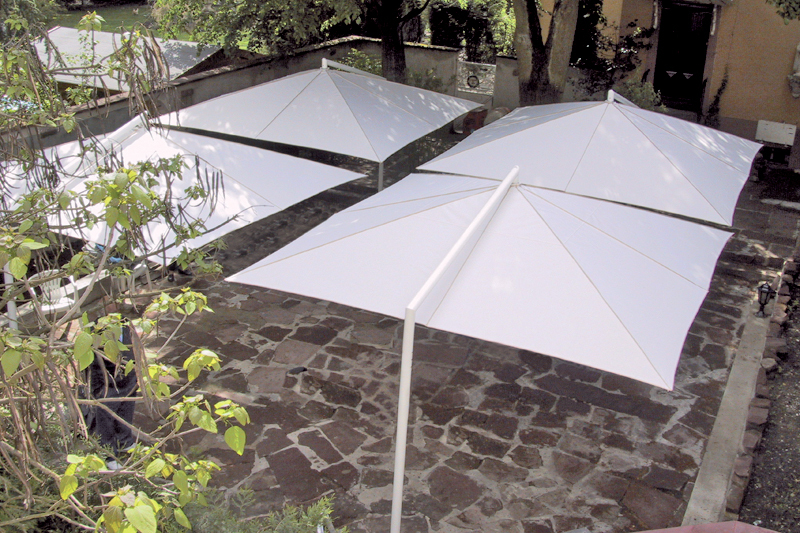 After years of perfecting manufacturing technics, May, consistently produces creative shade solutions for everyday use. 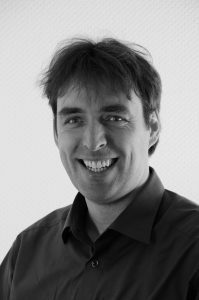 Brothers Karl-Heinz May and Klaus-Peter May manufacture high quality and superbly designed umbrellas. 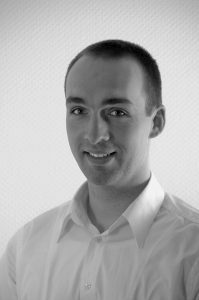 They are the second generation of the family to run the business and are following in the footsteps of their father, Anton May. 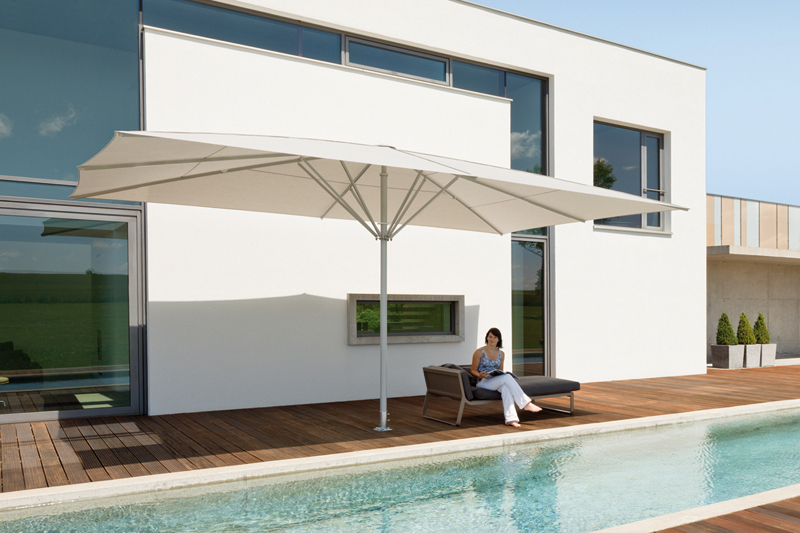 May specializes in giant umbrellas with 85 sizes starting at 6 feet and spanning up to 33 feet. 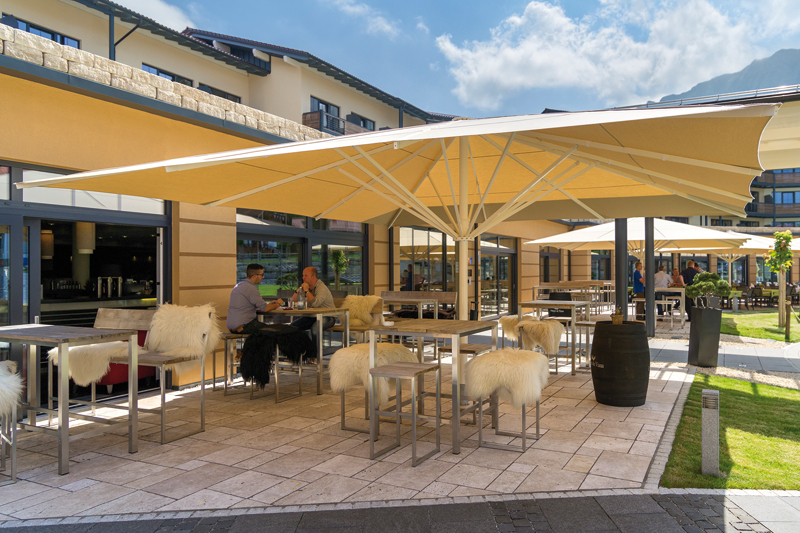 The May Collection offers coverage for large areas such as for restaurant patios and resorts. 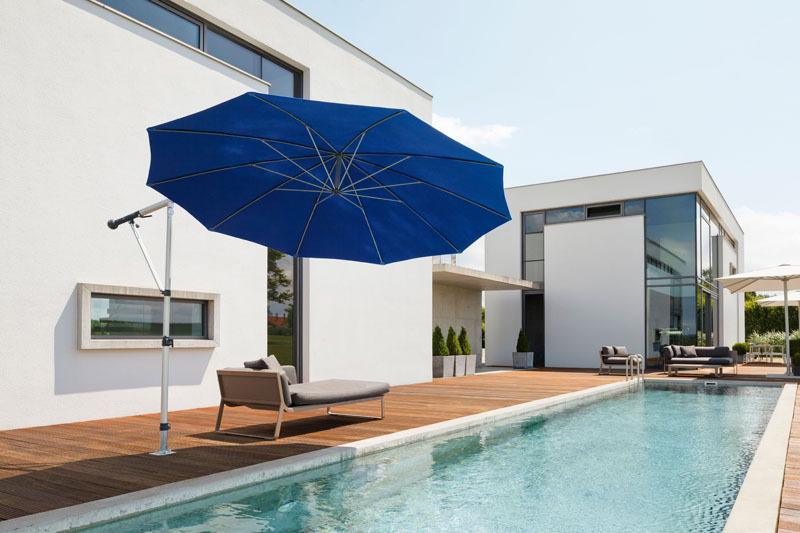 Cantilever umbrellas have a pole on the side rather than in the middle. 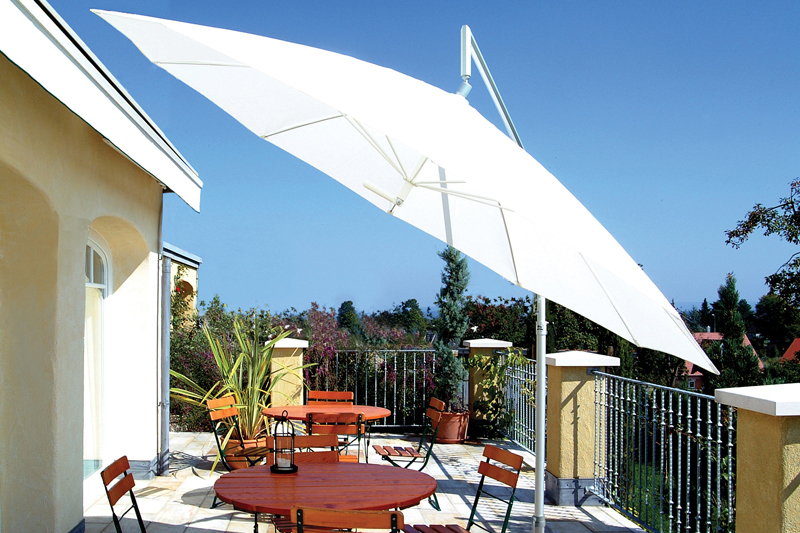 This allows the umbrella to cover a larger area making it easier to place a table under it.